A Phuket massage is what you will need after hours shopping or touring around the Island. Having a massage in Phuket for a reasonable price is a novelty and a luxury that most visitors to Phuket find a rare and indulgent treat. The types of massages that we are talking about are not to be confused with the seedy men only massage parlours where a happy ending is offered. 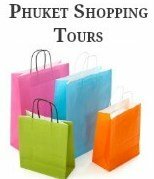 For the first time visitor to Phuket you will be shocked at how many massage parlours there are, especially around the major tourist area's such as Patong, Karon and Kata. There maybe three to four massage parlours right next door to one another. Visit any beach in Phuket and you will find ladies, sitting under trees offering massages, some may think that there is an over supply. 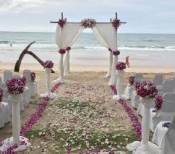 Some tourists visit Phuket solely because it is renowned as a major centre of spas and wellness. There are many Spas in Phuket, all offering a range treatments to make you feel relaxed and pampered, lots of these spas are located within the resorts and hotels. The price of a spa treatment or a massage in Phuket depends on where you go. Within the resorts and hotels you will pay around 500 baht up to thousands in day spas. Where as if you go to the massage parlours around the major tourist area's of Phuket, or just lie on the beach and have a massage it will cost considerably less. On our last visit to Phuket we paid 400 baht for an hour long massage, 300 baht for a foot rub (reflexology)and 500 baht for aloe vera massages. A Phuket massage is so cheap compared to what we pay at home so while were on holidays we are able to have as many as we like, every day if possible. If you're like us and love nothing more then having relaxing massages, than try a Phuket massage there are plenty of options available. Traditional Thai Massage is an old art of healing that originated as a spiritual practice taken from the teachings of Buddha, this practice was originally taught and practiced only in temples. Thai massage derives it's roots from ancient India, these ancient massage techniques gained popularity for the abilities to relieve ailments such as backache, headaches, nervous tension and fever. Unlike a Western massage a Thai massage doesn't involve using oils. Instead they work on pressure points and stretching techniques to increase flexibility, relieve muscle and joint tension and to balance the body's energy systems. Some people find that the Thai massage is at times painful, if you find the pressure or stretching to uncomfortable tell the masseuse to stop or ease up. Our first experience of a Thai massage was 25 years ago on our first visit to Phuket, the masseuse uses their thumbs, arms, elbows, knees and feet. So expect her to climb all over your body and to even walk on your back. If you are after a relaxing Phuket massage it maybe better to try a different type of massage. Reflexology is a very relaxing massage and our daughters favourite, this type of massage works on pressure points that targets specific nerves. Mainly on the feet, but also on the ears and hands which corresponds to every organ and nerve throughout the body to promote good health. A common massage treatment in Phuket is the Swedish massage. By using a technique of long strokes, kneading, friction, tapping, vibration and shaking motions that apply pressure between the muscles and the bones, rubbing in the same direction as the flow of blood returning to the heart. A Swedish massage is both, relaxing and invigorating and it feels good. It increases oxygen flow in the blood and releases toxins from the muscles. An oil massage in Phuket can be extremely relaxing and is similar to the traditional Thai massage combined with aromatherapy. An oil massage is more relaxing and less painful. If you would like your skin to feel as rejuvenated as your body try an aloe vera massage in Phuket, it is similar to an oil massage but much better for your skin. We paid 500 baht for an aloe vera massage on the beach. They used a real aloe vera plant and scooped the gel out with a spoon. Try it your skin will feel great for days. No holiday to the Island is complete without spoiling yourself to a Phuket Massage, whether it be at a spa or on the beach they are all very relaxing.